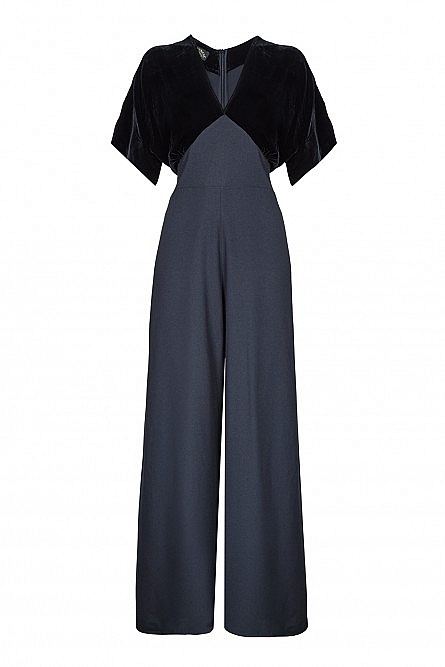 Glamorous black jumpsuit shaped to flatter the body with its deep V-neck top cut from plush velvet offset by crepe high-waist wide trousers. Inside leg L78cm. Viscose/wool mix. Dry clean.